Ideal for 1st & 2nd Year High School Algebra students. 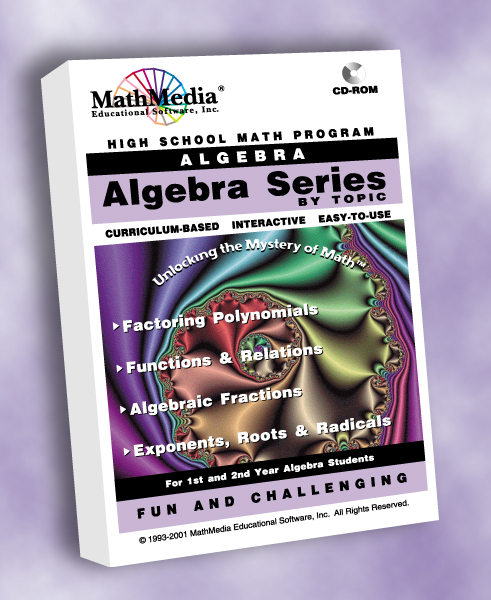 Each program begins with the very basic concepts of the topic and moves methodically to the 1st year Algebra MENU and then to the 2nd year Algebra MENU toward the advanced concepts. Each program contains its own test printable with or without solutions. 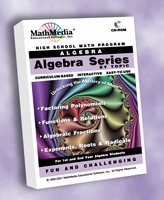 The Algebra Series By Topic covers those topics in both Algebra 1 and Algebra 2 which present the most challenges for students. Each program concludes with a comprehensive TEST. The TEST may be used for evaluation purposes, additional practice or review. Excellent for those students preparing for the SAT, ACT, and college placement exams. Click on the title, then scroll down to see sample screens.